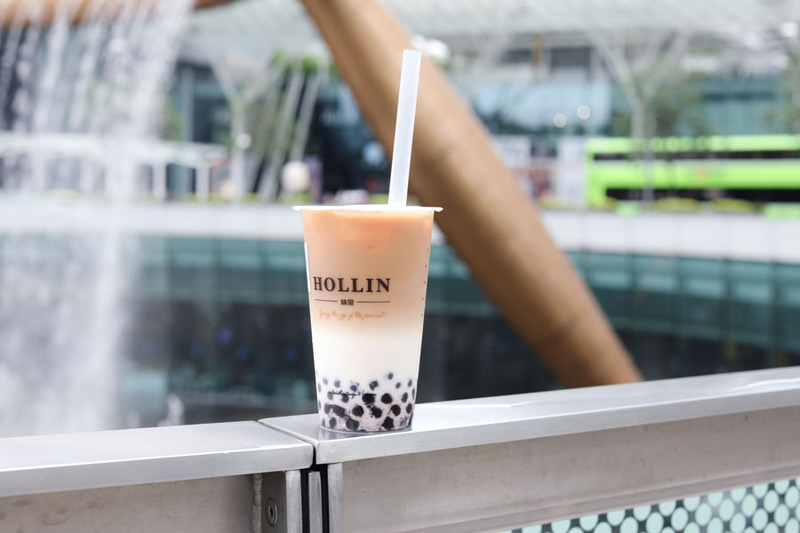 Looks like the bubble tea trend is back in Singapore. 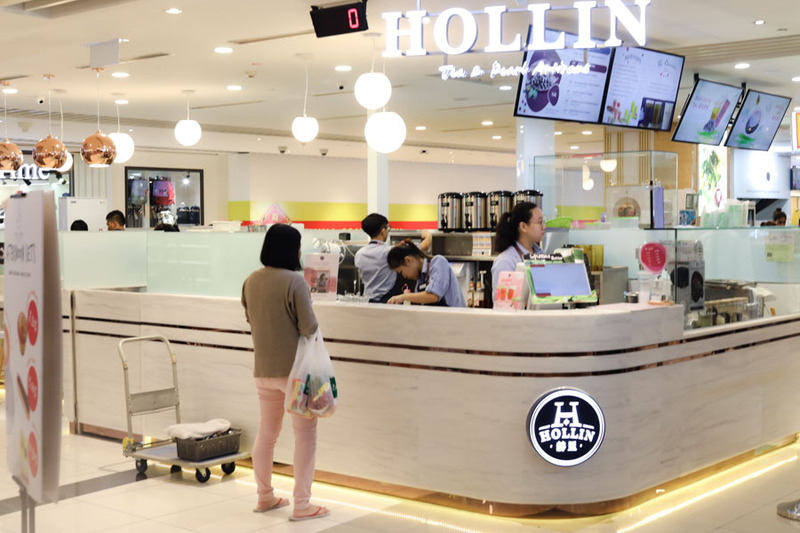 In Suntec City alone, there are already ParTea, Bobii Frutii, TP-Tea 茶湯會, and now Hollin 赫里. 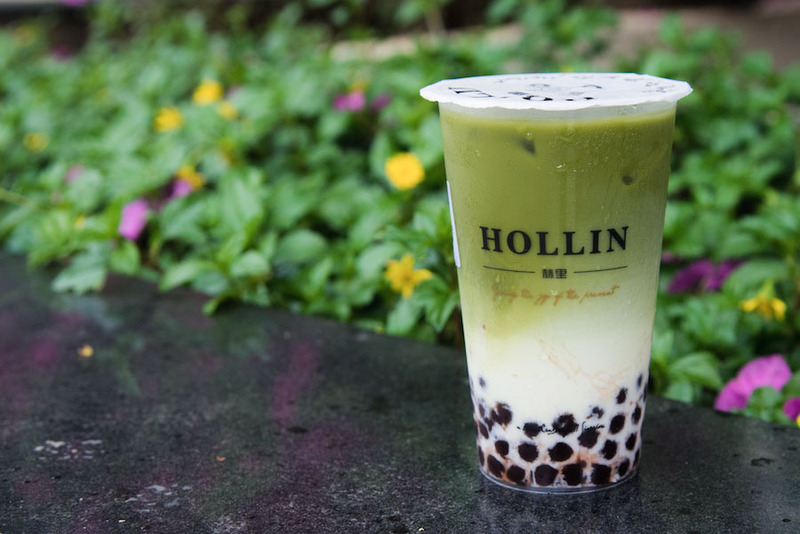 Hollin, which in Hokkien means ”Good to drink” specialises in freshly made pearls. There will be special flavoured pearls that change on a daily basis. 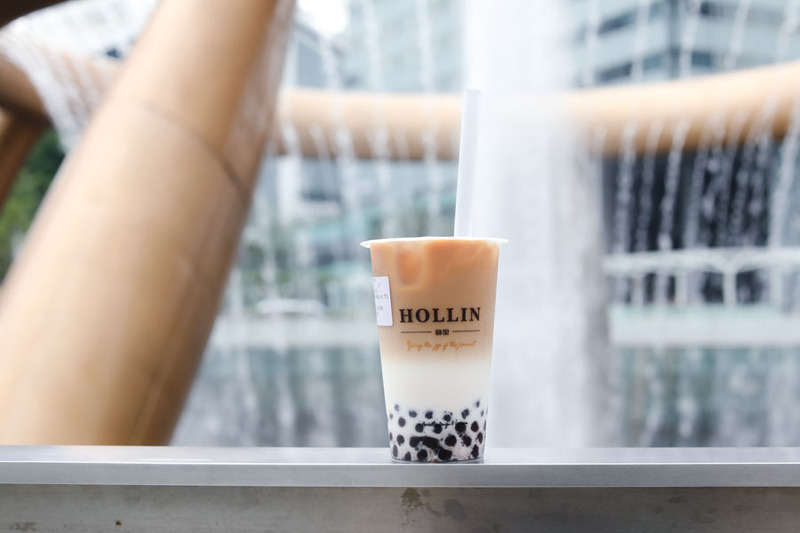 Other than the Honey White Pearl which is the fixed flavour, you can expect Matcha Pearls on Mondays, Cocoa on Tuesdays, Coconut on Wednesdays, Coffee on Thursdays, Peanut on Fridays, Black Sesame on Saturdays and Rock Salt on Sundays. 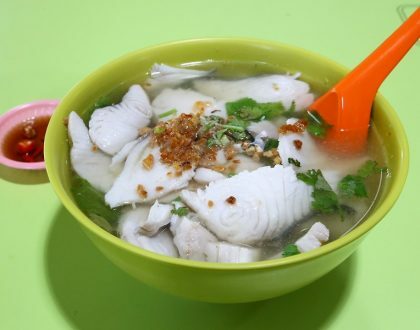 So if you happen to be craving for a particular flavour, you HAVE TO head down on that day. Pearls are priced at an additional $0.70 for both Medium and Large cups. 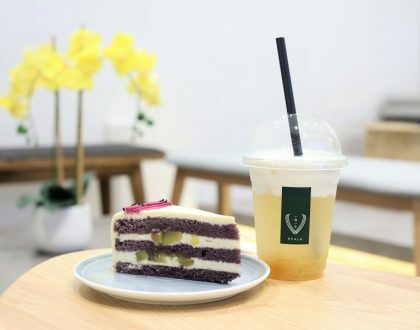 There are 3 different categories of drinks on their menu: Fruit Tea ($2.20 – $4.90), Tea Latte ($3.20 – $5.20) and Rock Salt Macchiato ($3.20 – $5.20), with varied options for sugar level (0, 25, 50, 70, 100%) and ice (Hot, Ice, No Ice). 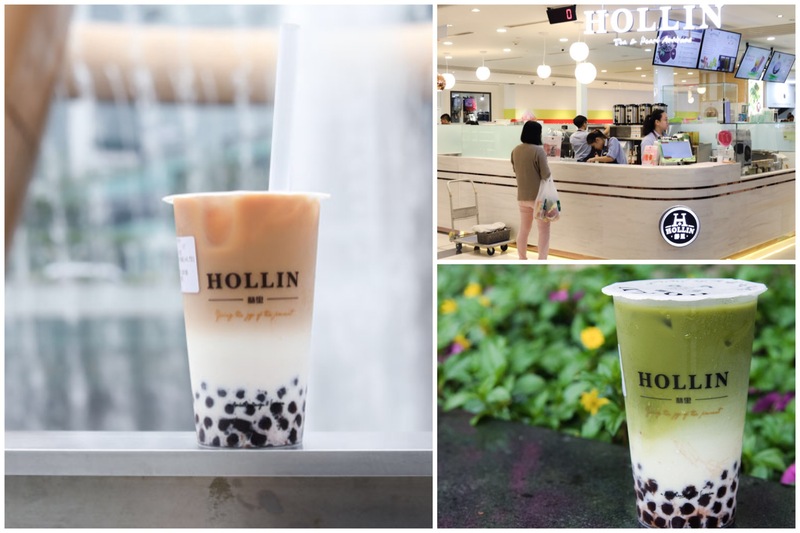 As I went on a Tuesday, I had the recommended HOLLIN Black Tea Latte ($3.20) with Cocoa pearls (additional $0.70). 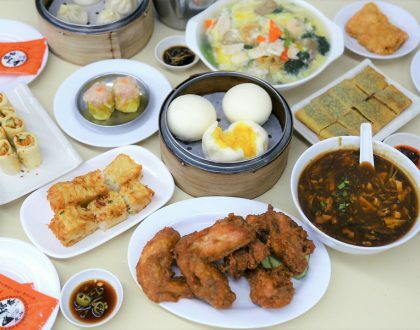 Compared to my favourite brands, I thought that while the tea was refreshing with smooth milk, however the tea fragrance could have been more pronounced. The best part was indeed its pearls, with that special chocolately taste and chewy bite. It was as though after every sip, you get that little chocolate surprise.